One of the main new features being touted in Office 2010 is the ability to upload documents to the Web for sharing and collaboration. 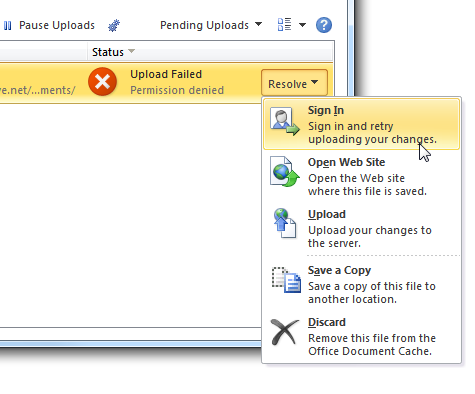 Today we look at using Office Upload Center to help manage your uploaded documents. 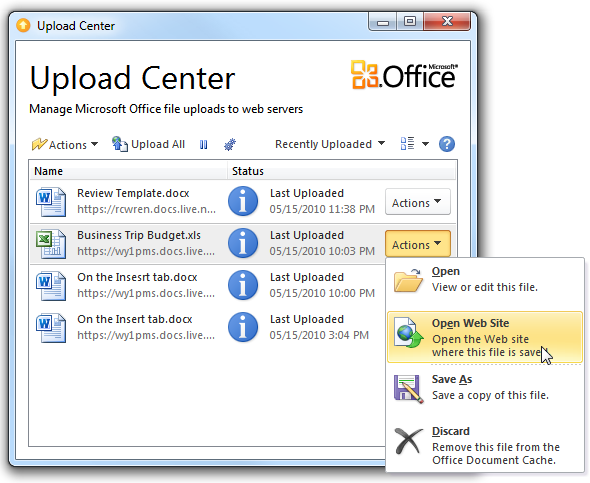 When you upload an Office 2010 document to the web, a handy tool to manage them is the Office Upload Center. It’s a way to see what is being uploaded or what might have failed to reach the servers. It lets you know if a document failed to upload for some reason. In this case it looks like the incorrect credentials were entered when signing into Windows Live. Click on the Resolve button to get a list of actions you can take to get things corrected. You can access the Upload Center from the icon which appears on the System Tray when uploading documents. 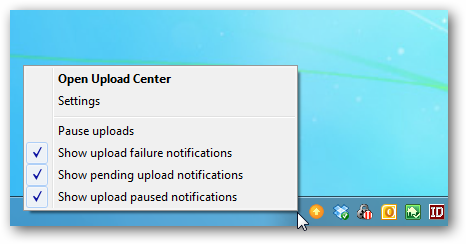 Right-click the icon to control notifications, pause uploads, and access its settings. 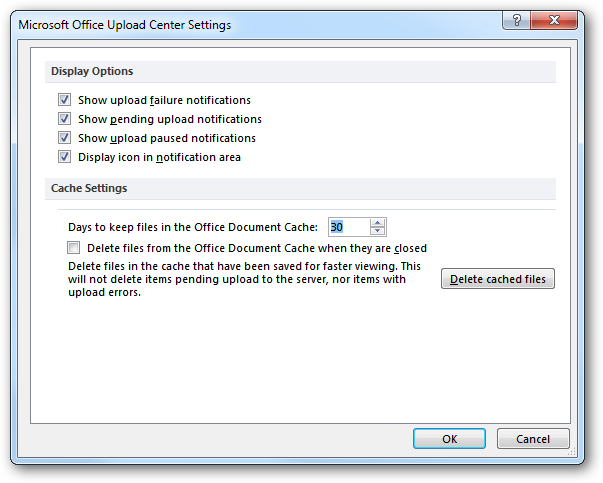 In the Settings section you can choose how Upload Center displays notifications, select the number of days to keep files in Cache, and delete currently cached files. If you find yourself uploading several documents to the web during the day, the Office Upload Center is a nice feature for managing them.